The production version of Moto Guzzi’s highly anticipated V85 TT finally made its debut at this year’s Intermot show, and it’s looking like it was worth the wait. The Moto Guzzi V85 TT was originally presented at EICMA in 2017, however, back then it was merely a concept design. Although, that was more than enough to get fans excited (including us at ABR) about the potential of the bike, coupled with its appealing retro . Despite its more classic look, the motorcycle was shown to have plenty of technology, with ABS and traction control both included. In fact, both of these riding aids will alter depending on what riding mode is selected, be that ‘Road’, ‘Off-Road’ or ‘Rain’. 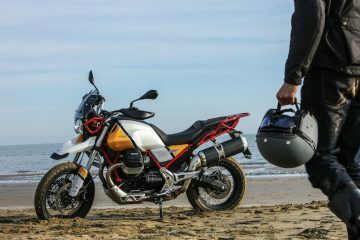 Moto Guzzi sees the V85 TT as “a new and original proposal that combines stylistic features reminiscent of the golden age of motorbike adventures with the content and functionality of a modern touring enduro”. 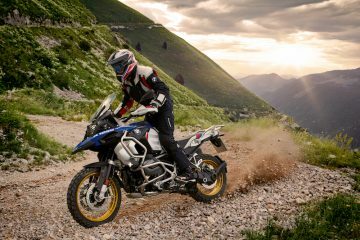 Two colours will be available: the navy blue paint job and the yellow, red, and black blend that takes direct inspiration from the company’s 1985 contender in the Dakar Rally. Considering the 1985 motorcycle is a vital part of Moto Guzzi’s history, you can see why the company has big hopes. Though the skeleton of the V85 is comparable to the V9, the engine itself is brand new. The 90-degree transverse air-cooled 850cc V-twin has been made specifically for this bike and is capable of 80bhp. 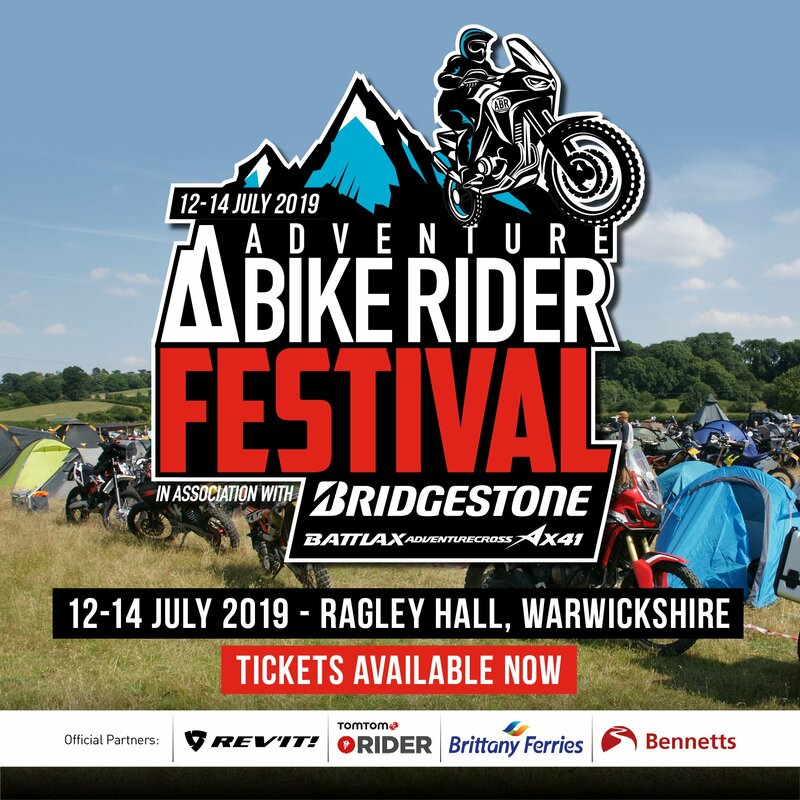 It also boasts a 21-litre fuel tank ,designed in part with how Moto Guzzi models were set up for African rally raids, that should offer a range of approximately 250 miles. 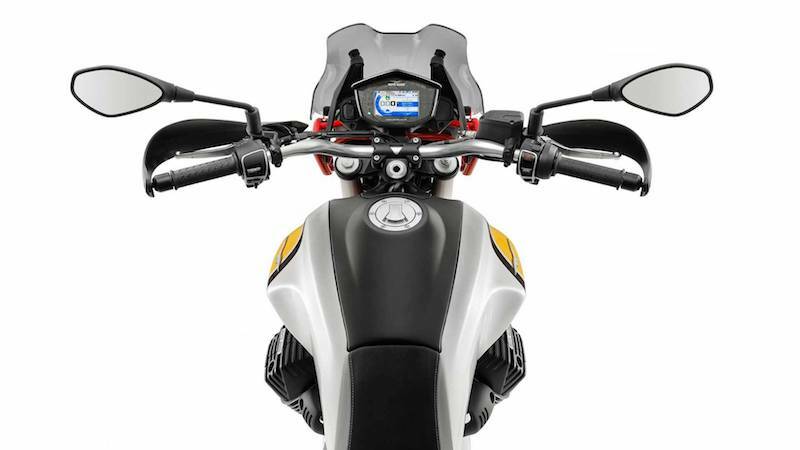 Continuing this trend, there is a high front mudguard and double front headlight, while the bike also borrows some other small design touches from the firm’s 1996 NTX 650 and 1989 Quota 1000 motorcycles. 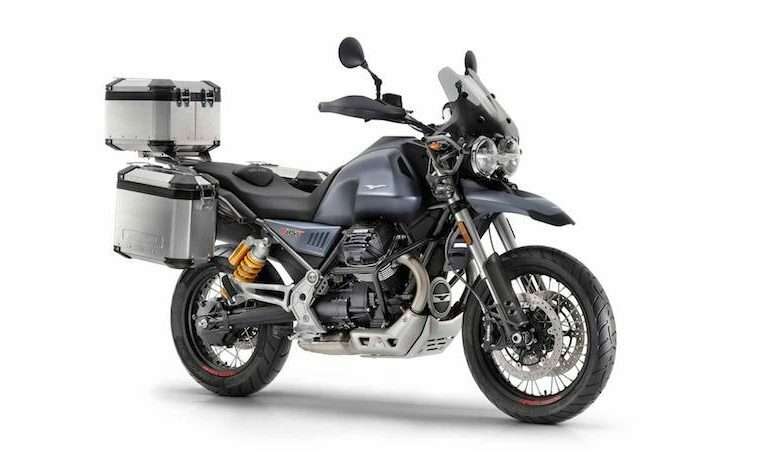 The suspension (monoshock-sprung), swingarm and front forks are all adjustable, while Motto Guzzi has also announced a line of accessories that are aimed at the adventure touring market. One such option is a sturdy set of luggage for holding your essentials during your travels. 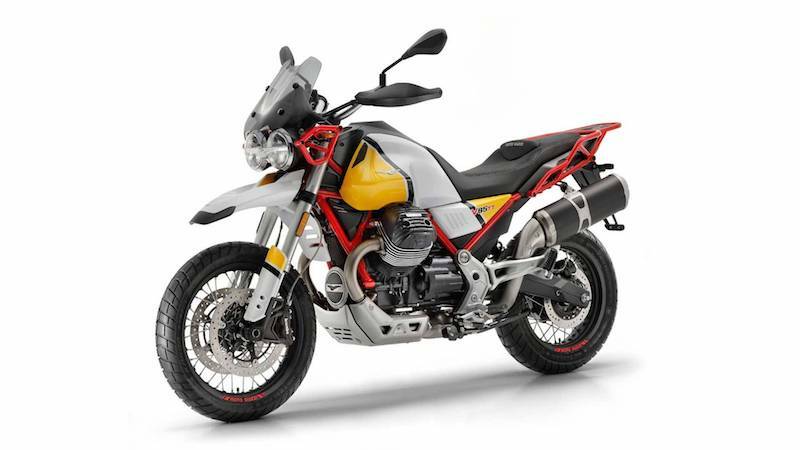 Moto Guzzi’s press release re-emphasised the company’s commitment to putting the motorbike into production, while stating that “the V85 TT is dedicated to those who, while never ceasing to dream of Dakar, yearn for a bike that revives the spirit of adventure on their daily journeys”. At this time, there has still been no official release date, but marketing director of Moto Guzzi for France, Valentina Barletta, previously confirmed that the Moto Guzzi V85 TT will be available for purchase come the start of 2019. However, other reports have speculated a mid-2019 launch. Either way, we will keep you posted.